Terry puts up mascots when there are no posts. In alphabetical order by mascot name. I have to admit it's before my time, but i still should have got it!!! Funny. 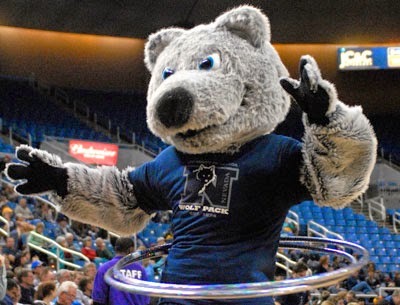 Got the song reference, but what is UNR's Alphie? An escapee from the Hamster Holding facility? Actually, his T-shirt says something about a wolf pack, so I'm assuming some sort of mutant canid.